Australia’s largest range of packing tape to suit every application! 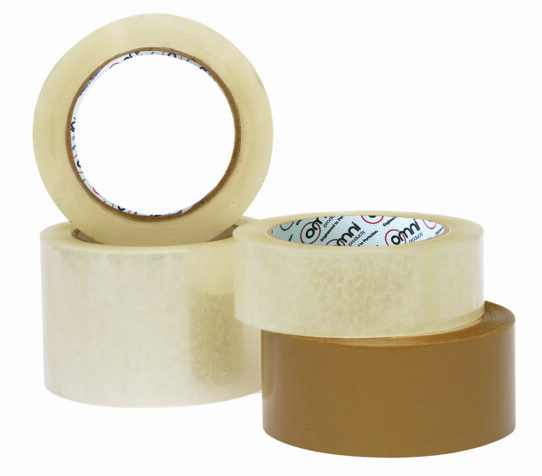 Packing Tape or Packaging Tape is used for general purpose and carton sealing applications. With in-house slitting and printed facilities we can custom printed tape and slit tape to each client’s requirements. 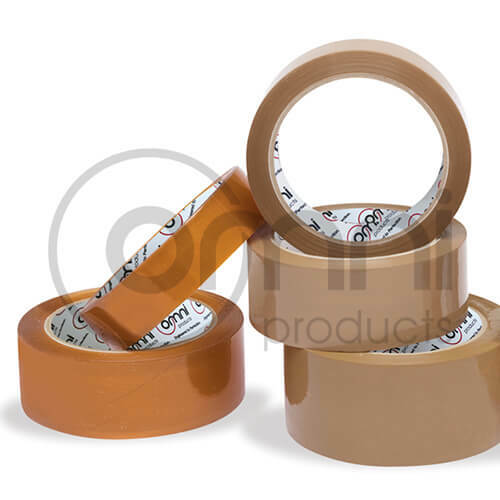 Packaging Tape is categorized into 4 main adhesives types; Hybrid, Acrylic, Hot Melt and Natural Rubber Solvent. 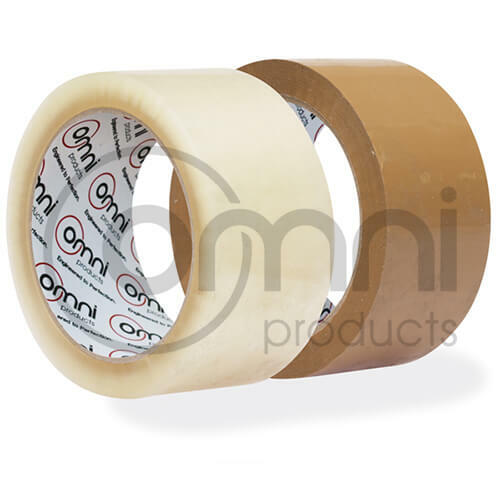 Hybrid Packing Tape: The Omni Hybrid Packing Tape is the most premium and cost effective tape of our range. Hybrid has an aggressive and fast bonding adhesion suitable for a variety of surfaces including cardboard and plastic. This high performance packaging tape is temperature resistant and can be applied in hot and cold environments from -15°C to 60°C. Acrylic Packing Tape: Packing Tape with an Acrylic adhesive is a bargain priced tape but without compromising on quality. 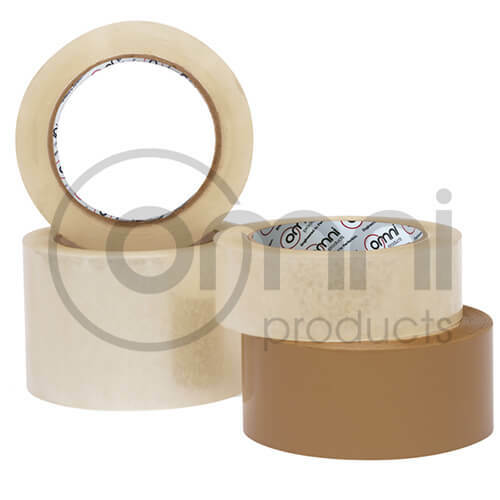 This packing tape has good adhesion performance that can be applied to plastic, paper and cardboard items that are stored or transported in low temperatures. Hot Melt Packing Tape: Packing tape with a hot melt rubber adhesive has premium adhesion qualities that can be applied to paper and cardboard cartons in mild to hot temperature environments. hot melt adhesive is sometimes referred to as synthetic rubber adhesive, is not suitable for cold storage rooms and freezers under 15 degrees. 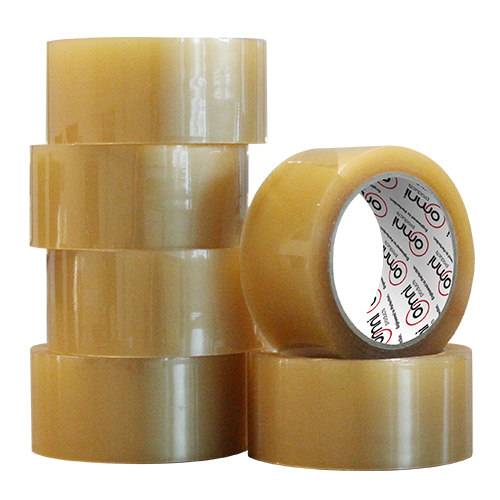 Rubber Solvent Packing Tape: Packing tape with a rubber solvent adhesive is the most aggressive of the range. It has an excellent fast bonding adhesion on a wide variety of surfaces and temperatures. Natural rubber packing tape is the most premium aggressive adhesive and is the most common type of packaging tape being good value high performing. Not suitable for adhering in cool or freezer rooms.